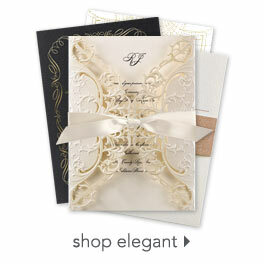 A touch of lace on the corners of this anniversary invitation introduces your celebration with vintage-inspired beauty. "Always & Forever" appears in elegant script font in white above your wording. Your wording is printed in your choice of colors and fonts. Invitation includes outer envelopes. There was nothing I did not like about the product -the grade of the card stock was what I selected Semi-formal event family & close friends. Great! Arrived two-days earlier than expected.